Today's live casinos attract players who want to get a taste of the real casino atmosphere. 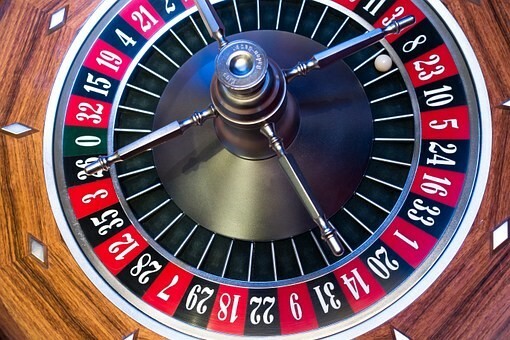 Usually, casino dwellers head for the classic table games such as Roulette, Blackjack, Poker or Baccarat, but there are a few hidden gems in the live casino world that you might not have even heard of. How would a round of Sic Bo, Fan Tan, Dragon Tiger, Bet on Poker or Double Ball Roulette sound like? This classic Chinese dice game is a common sight in Asian casinos and also in some UK live casinos. Sic Bo is a game of chance, just like Craps. Players place their bets on the table, and the dealer then reveals the combination of the three dice hiding in the shaker. You either win or lose, so it's all about luck. Give it a try — You'll be surprised how entertaining Sic Bo can be! Chances are that you've never heard of this game. Fan Tan is a traditional Chinese casino game that may seem a bit intimidating at first. Believe it or not, it's actually quite simple. Bets are placed on numbers from 1 to 4 and different combinations. The dealer spreads a load of small buttons on the table and separates them into batches of four with a bamboo stick. Finally, the last batch will have 1-4 buttons remaining, and that number determines the winner. Dragon Tiger is a simple and fast-paced casino game. It's played with two cards (the Dragon and the Tiger) and has some similarities to Baccarat. In Dragon Tiger players don't play against the dealer — the idea is to simply bet on which hand will get a higher card. Only one card is dealt with each spot (the Dragon and the Tiger). Gambling couldn't be any simpler than this! Derived from the rules of the classic Texas Hold'em, Bet on Poker is all about the excitement of betting. The game has six playing positions, and all hands will play until the end. Before the cards are dealt, you can bet on the winning position and the value of the winning hand. Each game has four betting rounds: Pre-Deal, Pre-Flop, After the Flop and After the Turn Card. This game requires plenty of skill and concentration! Double Ball Roulette is basically a regular European Roulette played with two balls instead of just one. This brings added excitement and enhanced betting possibilities to the traditional version of Roulette. To win in an inside bet, one of the balls must land on the selected number. To win on an outside bet, both balls must land on the selected number. In the latter case, you'll be rewarded with sweeter payouts!